Time and time again we hear parents tell us how frustrated they were because they could not help their child find success in school. It was this exact frustration with her own son’s education that drove Pam Draper, the founder of Gateway Lab Charter School, to establish a school where students with disabilities could be successful. One day in 2006, Pam was watching television when she saw a feature on Sally Smith, and the Lab School of Washington® in Washington, DC. Smith started The Lab School in 1967 when she could not find a suitable school for her son with learning disabilities. After seeing that Smith was helping others to establish schools using Lab’s methodology, Pam reached out to her about starting a similar program in Delaware. While the D.C. Lab School is private, Pam felt strongly that there needed to be an alternative for parents of students with disabilities that could not afford to pay $30,000 per year for their child’s education. After meeting with Sally Smith and Lab School staff and parents, Pam returned to Delaware to assemble a group of individuals with a passion for helping struggling students. 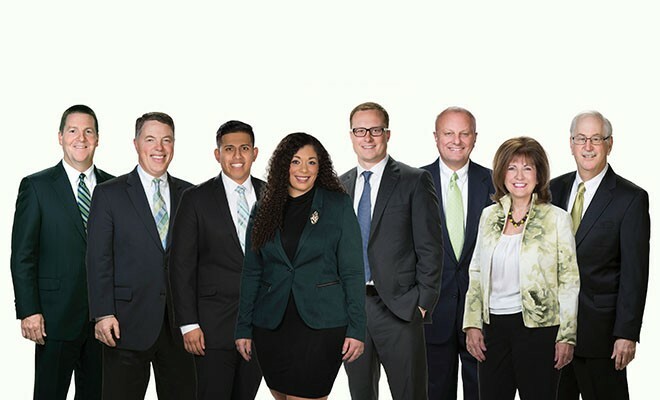 For the past eight years, Mrs. Draper and the Gateway Board of Directors have worked successfully to open and develop Gateway into a model school where kids with learning disabilities and differences can succeed. The Gateway Lab Charter School is a state approved, public charter school centrally located in New Castle County. The school is unique, being only one of two of its kind in the state of Delaware. Gateway has established itself as a well managed, thriving charter school. Gateway’s core beliefs hinge on the fact that “all children can learn” and when surrounded by a community that respects one another’s individualities and diversities, students who learn differently can excel. Our school has an intent focus on creating a culture that allows every student to feel safe so they can be themselves. With a strong focus on creating a learning environment for student with ADHD, mild to moderate Autism and learning disabilities, Gateway is redeveloping what classroom instruction looks and feels like. Piloting the EL Education or Expeditionary Learning Gateway is expanding the definition of student achievement with in our diverse community of learners through a unique combination of rigor and joy of learning. With an environment that allows students to explore multiple learning styles our classrooms burst with innovation and our students grow with confidence and self-advocacy. Gateways instructional model looks less like rows of desks with a lecture happening in the front of the classroom and more like a 360 degree learning space with the teacher at the center of instruction. Students engage in a variety of ways with multiple options for seating and work stations. With class sizes of 14 students to 1 special education certified teacher and a paraprofessional in each class we are able to focus on a multisensory classroom providing students with the tools to develop strategies to stay engaged in the learning process. Our classrooms are full of technology and as we leverage a variety of computer based educational programs we are working to achieve a truly individualized instructional model. Gateway’s highly qualified teachers consistently use data to drive targeted remedial instruction to support the variety of needs our students have. With this type of ongoing intervention, teachers have the ability to address a student’s area of deficiency immediately allowing a student to maintain their pace of learning consistently over longer periods of time. At Gateway, our students learn to articulate their strengths and weaknesses, and know and understand their learning styles leading to a strong sense of self-advocacy giving them back the voice and choice in their learning process. Finding out if Gateway is the right choice for your child is easy. Email us at gatewayenrollment@gls.k12.de.us to schedule a visit to the school. 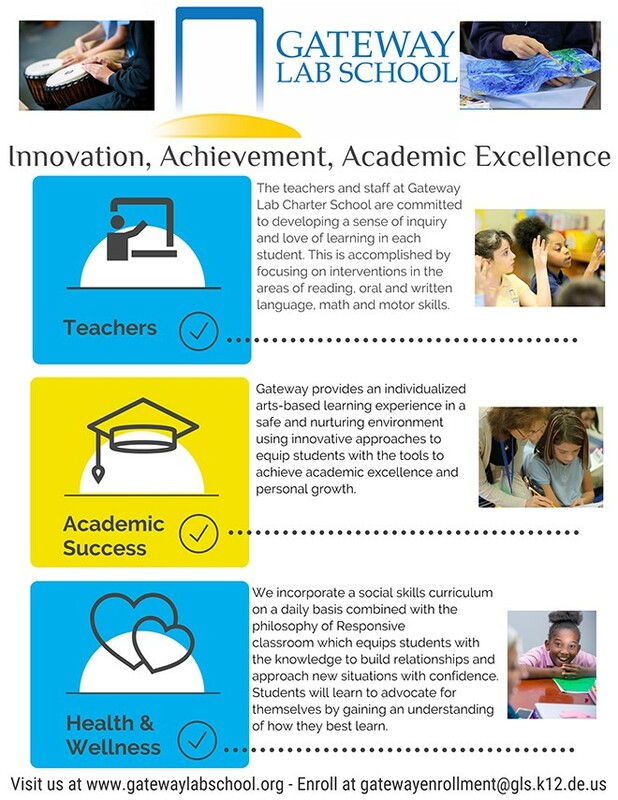 You can also visit our website for more information at www.gatewaylabschool.org.